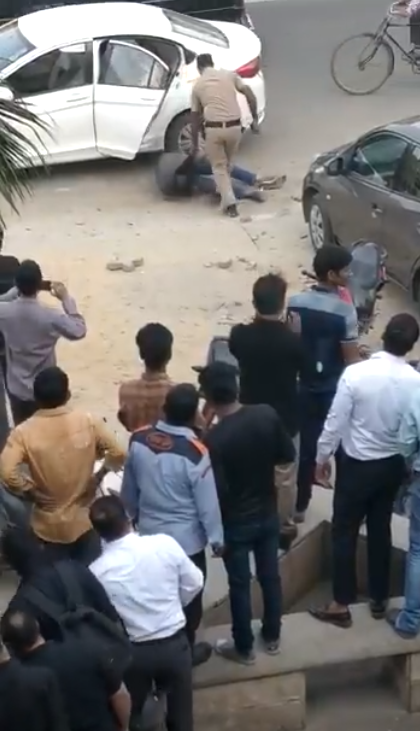 The wife and son of an additional sessions judge were shot at in Gurgaon on Saturday afternoon, allegedly by their own gunman. The accused in the case fled the spot after the incident, but has now been apprehended. According to police, the incident occurred around 3 pm, at Unitech Arcadia in the city’s Sector 49. The victims are the family of Krishan Kant Sharma, who is an additional district and sessions judge in Gurgaon.